It’s commonly agreed that no one makes meatloaf quite like Mom. 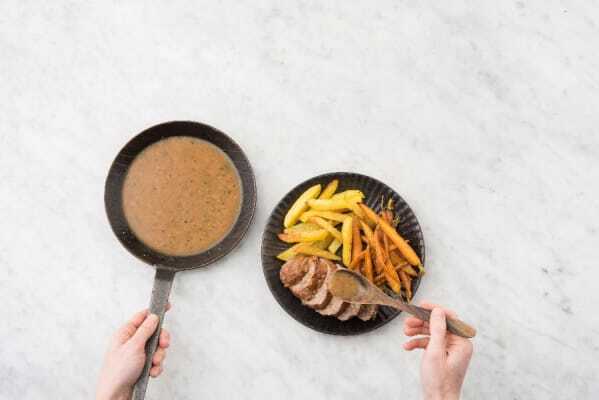 But our chefs will settle for second best by taking a page from her book and passing on this recipe that stays about as true to tradition as can be. 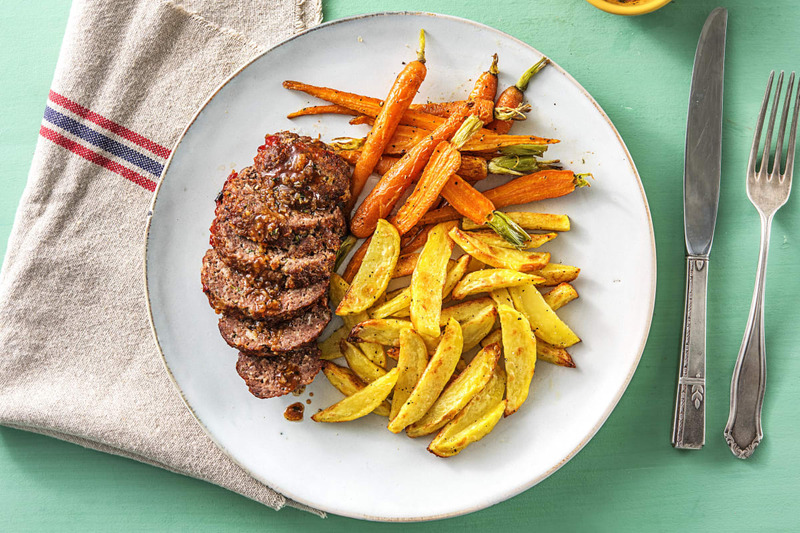 These ground beef mini loaves are brushed with a ketchup glaze, served with tender roasted carrots and potatoes, and drizzled with an herby thyme gravy. And if you’d like to claim this recipe as your own, don’t worry—we’ll stay mum. Adjust rack to middle position and preheat oven to 450 degrees. Wash and dry all produce. Halve and peel shallot. Grate one half with a grater into a medium bowl; mince other half and set aside. Mince garlic. Strip thyme leaves from stems and roughly chop. Halve carrots lengthwise. 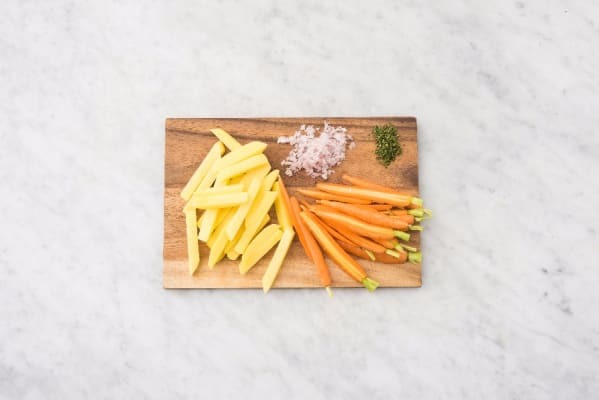 Peel potato, then cut into thin sticks (like French fries). 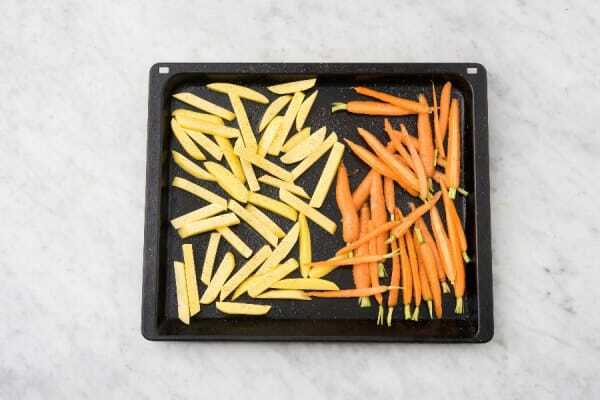 Toss carrots with a drizzle of olive oil and spread on one side of a baking sheet. Toss potato with another drizzle of olive oil and spread on other side. Season both with salt and pepper. Roast in oven until tender and browned, 20-25 minutes total (we’ll add more ingredients to the sheet after 7 minutes). 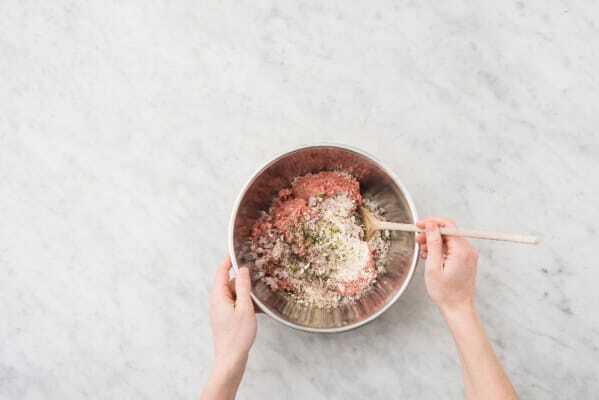 Add ¼ cup panko (we sent more), ground beef, garlic, half the thyme, and a few dashes of salt and pepper to bowl with grated shallot (we used ¾ tsp kosher salt). Gently combine with hands, then shape mixture into two 1-inch-tall loaves. Once veggies have roasted 7 minutes, remove sheet from oven. Give veggies a toss. Place meatloaves on same sheet, and then brush tops of loaves with 1 TBSP ketchup (we sent more). Return sheet to oven and continue roasting until meatloaves are cooked through, 15-18 minutes more. TIP: If your sheet is crowded, you can add the meatloaves to a second sheet. 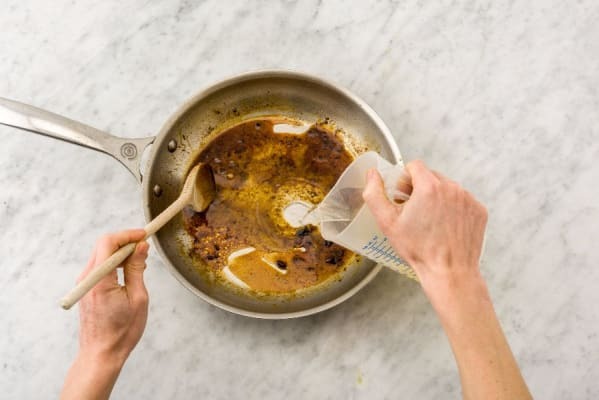 Melt ½ TBSP butter in a medium pan over medium heat. Add minced shallot and remaining thyme. Cook, tossing, until softened, 3-4 minutes. Sprinkle flour into pan, stirring vigorously to combine. Whisk in stock concentrate and ½ cup water. Bring to a simmer and let bubble until thick and saucy, 3-4 minutes. Season with salt and pepper. 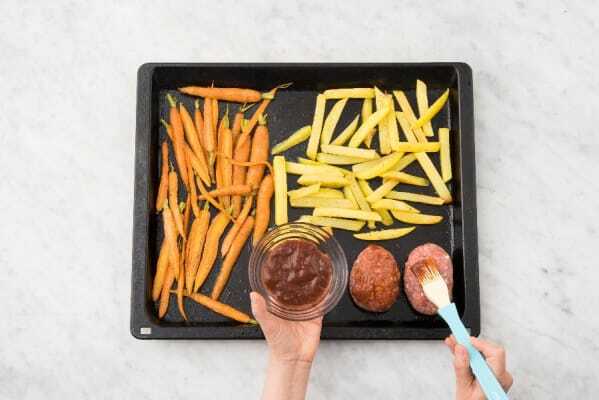 Slice meatloaves crosswise and divide between plates. Add veggies to the side. Spoon gravy over meatloaves and serve.